This slight will not go un-avenged. I'm placing this here because Stew mentioned the IBM 701 and I asked if it'd been -tanned yet. SAGE was related to Whirlwind AND the IBM 701?! STEW. WHAT DOES THIS MEAN IN OS-TAN TERMS?!!? IBM 701 was the origin point/parent for the largely unseen AN/FSQ-7-tans. It was never really relevant in the published canon so I never really brought it up. So IBM 701-tan was related to SAGE-tan's station-tans, but not SAGE personally? Which makes me wonder what exactly SAGE-tan represents. Can't be the software/OS, because then she wouldn't have relation to Whirlwind(?? I don't think Whirlwind even used an operating system?). I'm.... confused. Oooh, these two are lovely! I love all the little details you've put into them, and their physical designs too. dammit pent, now i'm picturing us throwing those sticky octopus toys against the wall and calling it science. 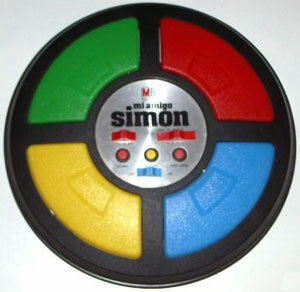 tonight we're gonna work on their younger brother, Simon. you think Philip would be a cousin or a brother to the Magvox-tans?